Our loyalty program is our way of giving back to you. For every dollar you spend, you receive one point. Once you reach 300 points you can redeem them for a $25 gift card. If you reach 500 points you can redeem them for a $50 gift card. 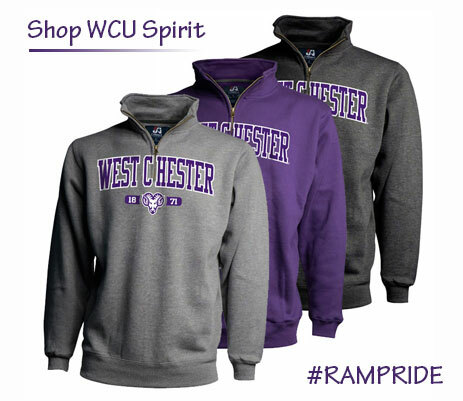 All you need to do to get started is create a profile/register on this site using your student number (without your initials or the 0) as your loyalty number, and begin shopping! When online, make sure you are logged in, when in the store, make sure you give your loyalty number to the cashier when checking out. You will be able to check the status of your points whenever you want through our website, and if by some chance some points are not applied, just bring in the receipt of purchase and we'll gladly add them to your account! IF YOU NEED HELP CLICK HERE. 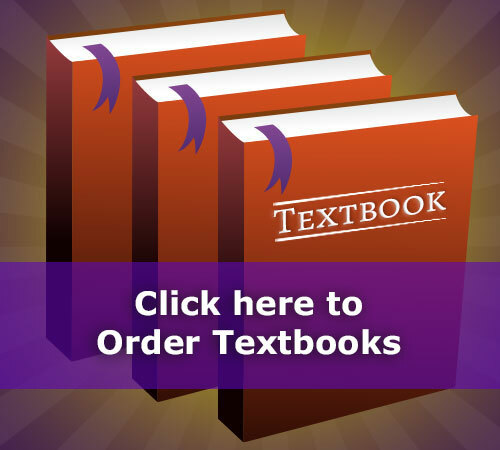 A lot of times, searching for your textbooks in the West Chester University Campus Store can be a bit overwhelming with all of the selections, sections, requirements and the amount of people who are all in there. Luckily we have made it very easy to make sure you get everything you need for class in a convenient manner while avoiding the rush, all you need is your class schedule. 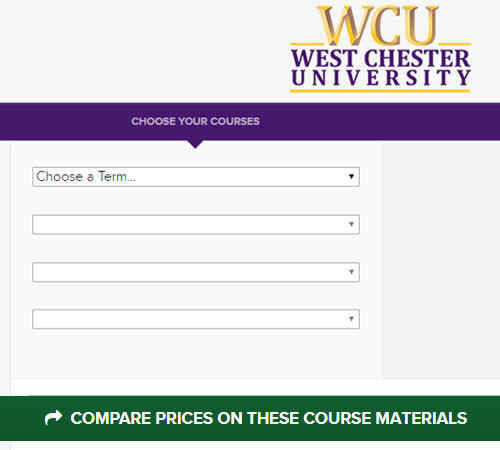 All you need to do is plug in the information we ask regarding your classes on the textbook reservation screen. After you select all your classes, we provide you with an entire list of required and recommended books for those specific classes. From there just select the option you'd like. (Rental and eBook options aren't available for all titles.. But we're working on it) IF YOU NEED HELP CLICK HERE. WE ADD NEW MERCHANDISE TO THE WEBSITE FREQUENTLY... CHECK OUT WHAT WE HAVE NOW, ODDS ARE IT'S PROBABLY DIFFERENT THAN WHAT YOU SAW LAST TIME! Reservations are now being accepted for the upcoming semester(s). This means that orders can be placed now, but will be processed as the semester approaches. We have partnered with Dell to give students an affordable option of quality to ensure their technological needs are satisfied throughout their college career! 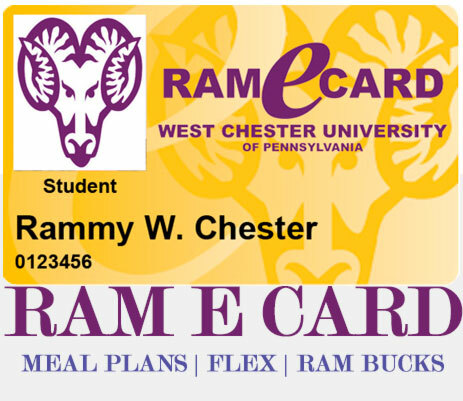 The Ram E Card is the official West Chester University ID card. 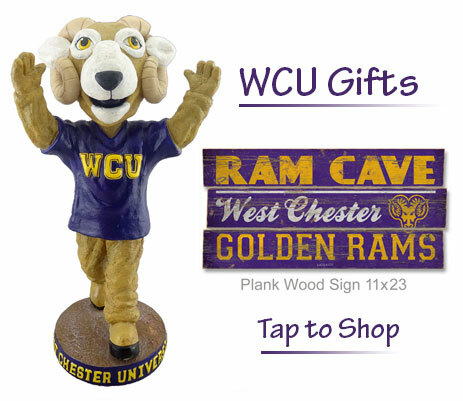 The Ram E Card can allow you to make cash-free purchases using Ram Bucks all over campus and off-campus.